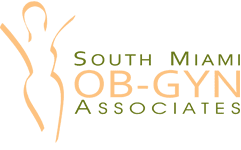 If you have any questions, concerns, or comments regarding South Miami OB/GYN Associates, please fill out the short contact form below. It may take 48 hours for a response from the office. "Love the office staff and Dr. Hirsh was the best and quick. Made me feel so comfortable." "They always take their time with you and you never feel rushed. I recommend them to everyone I know!" "One of the best experiences I've had at a doctor's office. I've been coming here for the past 10 years." "I love everyone at this office, from the administrative assistant at the reception to the nurses, medical students and my specialist." "I can definitely say that this office made me feel extremely welcomed and comfortable while being seen." "If you are looking for a great gyno - look no further. This is a great practice with MANY great and caring doctors to chose from." "Dr. Hirsch and his office personnel are the best to be found in the Miami area. Their experience and professionalism are outstanding. " "Dr. Hirsch delivered my son and is hands-down the best OB. He's caring, professional and takes the time to ensure every question you have is answered." "I came to see him based on my friends' recommendations and have since recommended Dr. Hirsch to other friends." "Dr. Hirsch is such a caring physician I am so pleased to have him as my GYN. He is truly a special doctor." "I have been seeing Dr. Hirsch for 8 years now and he is an amazing doctor. He always manages to make me feel comfortable during an uncomfortable situation." "Dr. Guinot is the most amazing ObGyn. Extremely professional and knowledgeable in his field! Very loving and understanding." "I've been going to Dr. Guinot for 10 years. He delivered 2 of my 3 children. I absolutely love him for his charisma and professionalism!" "Dr. Guinot is SUPER! Always in a good mood and spends a lot of time with you; makes you feel at ease." "Dr. Guinot genuinely cares about me and my health." "I have been seeing Dr. Horst for 6 years now, he has always been very professional and honest. He never has rushed my appointments." "Dr. Thomas Horst is a very sincere doctor, humble and does not put down his patients. I highly recommend Dr. Horst." "This doctor is fantastic. He takes his time with his patients, is very hands-on and treats you with dignity and respect." "He is a great doctor, explains everything in detail, never in a hurry to get you out and truly cares about his patients." "He is a wonderful doctor." "The option of Saturday’s with Katie is great! Because of my schedule, an appt. during the week is impossible."